DJ Black Coffee has his Casual Day sticker and will be joining millions of South Africans on Friday 4 September in raising funds for persons with disabilities. Other celebrities who have already got their stickers include songstress and humanitarian Yvonne Chaka Chaka, paralympic athlete Samkelo Radebe and TV presenter Lezanne Naidoo. 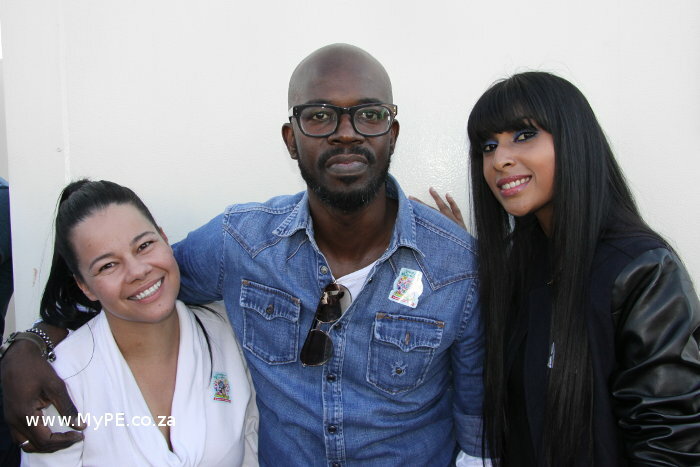 “We asked DJ Black Coffee to wear his Casual Day sticker, because he is one of the most influential stars on South Africa,” says Therina Wentzel, Director of the National Council for Persons with Physical Disabilities in SA (NCPPDSA). “Casual Day, SA’s foremost fundraiser for persons with disabilities, is owned by owned by the NCPPDSA. Last year we raised R28m. Casual Day is a lifeline for many organisations who provide services to persons with disabilities. Most of the NGOs providing education, shelter, transport, assistive devices and other necessities to persons with disabilities receive no government funding and need projects like Casual Day to assure their sustainability,” she concludes. At the age of 13 DJ Black Coffee was injured by a speeding vehicle while celebrating the release of Nelson Mandela. As a result he lost the use of his left arm. One of Black Coffee’s most inspirational moves was when he established a foundation called DJ Black Coffee Foundation, uplifting and assisting persons with disabilities. A number of Casual Day ambassadors will join the call to Spring Into Action for persons with disabilities, including South Africa’s number wheelchair woman’s player, Kgothatso (KG) Montjane; Junior Mavuso, former Miss Deaf South Africa and professional ballet dancer Simoné Botha, Nedbank National Championships gold medallist; paralympic swimmer Adri Visser, Miss Deaf 2013 Lefa Manamela, and model and radio personality Simba Gozo, who is the co-host of The Casper Radio Show on Cliffcentral. Your R10 donation will go towards providing education, job creation, transport, assistive devices and emotional support to persons with disabilities through the 500 organisations that participate.